CarParts.com is a leading online retailer of automotive parts and accessories, based in El Segundo, California, USA. The privately held company has several distribution centers across the United States, allowing for a huge inventory and fast and efficient shipping. CarParts.com is currently a subsidiary of U.S. Auto Parts, a conglomerate of different aftermarket automotive parts retailers. To ensure they reach the largest possible customer base CarParts also run an Ebay store. CarParts.com was very early to the realm of internet eCommerce, first going online in 1996. Back then its aim was to help customers overseas find parts that were hard to locate. Today the company stocks over a million different parts and accessories, shipping worldwide. Why pay full price when you can get discounts or special offers? Coupofy does the leg work and collects all the latest CarParts.com coupon codes so you can check back whenever you want to make savings. So what are you waiting for? Browse our list and when you see a coupon you like, click on it to be taken directly to the site. Despite having such a large inventory CarParts.com makes it very easy to find what you need. You can use the search bar to search via keyword or catalog item number. Or you can use the "Find My Part" drop down menu system, where you can select the year, make, model, sub-model, and engine type of your vehicle, and it will then list all of the appropriate parts available. At the top of the page CarParts.com has four main categories: Auto Body Parts & Mirrors, Engine & Drivetrain, Headlights & Lighting, and Brakes, Suspension & Steering. 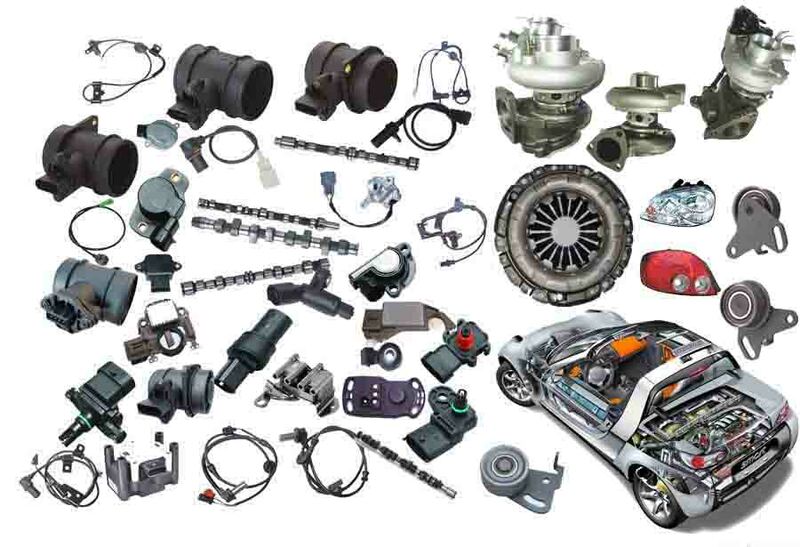 Subcategories include: Accessory, Air Intake, Auto Body Parts, Body Electrical, Body Mechanical & Trim, Brake, Car Care, Climate Control, Clutch, Cooling System, Driveshaft & Axle, Engine Electrical, Engine Mechanical, Exhaust, Fuel Delivery, Interior Styling, Steering, Suspension, and Transmission. Unless otherwise stated any CarParts.com coupon code can be redeemed for products in any of the above categories. There are hundreds of different brands to choose from, including all the well known and some lesser known brands as well. If the part you need is not available you can fill out a quote form and a rep will get back to you with a price and waiting time. CarParts.com also has an extensive knowledge base where you can learn more about cars, how to maintain them, and how to replace parts. CarParts.com supports all major credit cards for payment, including American Express, MasterCard, Visa, and Discover. You can also use Paypal and Amazon Payments to checkout. You are not required to register an account to checkout an order, though it may make things faster next time around if you pay by credit card. Checkout can be done via card, Paypal or Amazon Payments. To redeem CarParts.com coupons all you need to do is cop the code from Coupofy and paste it in to the promo box before payment. The site caters to both US and international customers, but shipping prices can vary greatly depending on the size of the order, its destination, and the shipping option chosen. This will all be fully calculated and displayed in US dollars before payment is finalized. Sometimes you can get carparts.com free shipping by using one of the applicable coupon codes. In order to be authorized to make a return you must fill out an online form, including your personal details, and the order number and part information. As long as the part is in its original and unused condition it may be returned no questions asked. @IndoorAthlete42 thank you for your response, someone from our customer advocate team will assist you regarding your concern, thanks!